I went off to college at American University in September, 1965; the Cardinals were still technically world champions, but there would be no miracle this year. American University was a logical choice; I loved politics and where better to be than Washington, DC. I also loved baseball and the old Washington Senators always had plenty of seats available. The Baltimore Orioles (formerly St. Louis Browns) were just 40 miles up the Baltimore-Washington Parkway. 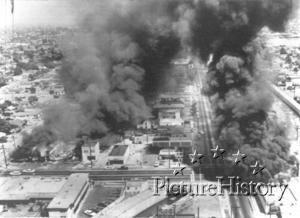 I had been in Los Angeles the month before, but not when the impoverished Watts neighborhood exploded with one of America’s largest race riots to date; 34 people had been killed, 1,032 injured and 3,952 arrested. It was then that we began to hear the term “rising expectations;” that African-Americans (then called ‘Negroes’ and about to be called ‘blacks’) found that legislative gains and increasing white awareness of their plight had not resulted in decent jobs, good schools, adequate and accessible health care, and de facto equal rights. The next three summers were characterized by “racial disturbances” (i.e. riots) in over 100 American cities. St. Louis was the only major city that seemed to escape the carnage. Theories abounded: St. Louis was neither a northern nor a southern town; there was less (or was it more?) police brutality than elsewhere; and of course everybody’s favorite; the town was otherwise occupied in 1967 and 1968 as the Cardinals once again won the National League pennants. True or not, race relations and the Cardinals were inexorably mixed in the late 1960s. What did Bob Gibson, who could be so intimidating on the mound, think about the civil rights struggle and accompanying violence? What about Cardinal center fielder Curt Flood? When he was traded following the 1969 season while making $90,000 / year (among the highest salaries in baseball), he likened the reserve clause which took away his freedom to decide for which team he wanted to play, as slavery. The players didn’t speak publicly about political issues, which while frustrating to a fan, only allowed us to play the game of speculation all the more. 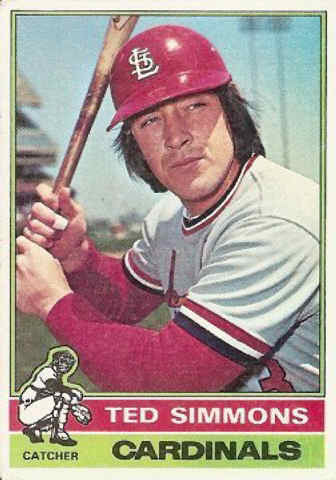 When Flood (along with teammate Tim McCarver) was traded following the 1969 season, it took a large bite out of the hearts of many Cardinal fans. fragmented into divisional play). There was still a political presence on the team; catcher Ted Simmons openly expressed his opposition to the Vietnam War and for those of us who questioned blind authority, he was a refreshing presence on the team. His wife, MaryAnne, started a magazine exclusively for baseball wives. It brought the women’s liberation movement to women who otherwise never would have been enlightened. Before the 1982 season, manager / general manager Whitey Herzog traded Simmons, perhaps because Herzog thought that his authority would be questioned. But that same off-season he acquired shortstop Ozzie Smith. Mr. Herzog must have known something because he put together a championship team that year. In 1985 and 1987 the team won the National League pennant only to lose seven-game World Series in the most frustrating of ways. The teams of the 1980s were richly integrated with Smith, Jack Clark Vince Coleman, (Silent) George Hendrick, Tommy Herr, Lance Johnson, Tito Landrum, Jim Lindeman, Willie McGee, Terry Pendleton, Lonnie Smith and Andy Van Slyke. Had it not been for an errant call at first base in Game 6 of the 1985 World Series and an outfield wall made of Hefty bags in 1987, the Cardinals teams of the mid-1980s might have qualified as a dynasty. A dry spell ensued; nine years after the 1987 pennant-winning team, Tony LaRussa took the helm of the team. After a slow start, the team romped to winning the Central Division of the National League by six games. In the first round of the playoffs they swept the San Diego Padres, but blew a 3-2 game lead in the League Championship Series by tanking in the final two games in Atlanta. The team had a diverse group of players; over 46% of the at-bats were taken by African-American players; a remarkable figure for any team in any year. But the team did not seem to have the harmony of the Cardinal teams of the 1960s or 1980s; the impact of long-term contracts and some inflated salaries took their toll on the Cardinals and other teams as well. Two years later Mark McGwire was on the Cardinals and along with Sammy Sosa they revived baseball with their combined 135 home runs. As you know, there are associated factors to this story and you can read about them elsewhere. The team continued to win, but baseball began to change in St. Louis. It became more and more corporate and there was less diversity on the field. The new owners bullied the community into an unnecessary new stadium with fewer seats, more luxury boxes, higher prices, and a still unfulfilled promise of a “Ballpark Village” on the site of the previous stadium. Ownership prospered; taxpayers sacrificed tens of millions of dollars in lost revenue. The fans didn’t seem to mind; they passed through the turnstiles of the new stadium at a rate of over three million a year, including 2009 in the midst of “the great recession.” And as we said, the team, while very likable and competitive, entered the 2010 season without a single African-American on the roster as a player or coach. The teams of the 1960s were intricately tied with the social progress and upheaval of the time. A large part of the excitement of going to the ballpark was seeing integration work; a special bond among a diverse group of players. It helped build an ethos that served as a model for people in other industries. 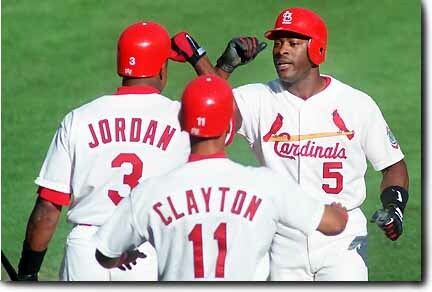 This was especially so in St. Louis because the team was so successful and the team as a group was a collection of very unique individuals. It was true elsewhere; I loved going to games in Baltimore and seeing the Robinsons (Frank and Brooks) form the nucleus of outstanding teams that also reflected the demographics of the community. In many ways today’s Cardinals team may reflect a portion of our current body politic. For me the opening of Spring Training this year was somewhat disturbing when relief pitcher Ryan Franklin took issue with the league’s policy of no guns permitted in the clubhouse. Somehow his concern for his gun rights just doesn’t measure up to Curt Floods personal sacrifice to remove the shackles of the rules of the game that bound a player to a single team for the entirety of his career. It’s a different game now for a different audience. I hope that you’ll pardon me if I this season I choose not to visit Mr. DeWitt’s palace and further fill his coffers. I still love the game, and when the renaissance occurs, I’ll be there.